I think it's safe to say the dark ages of hololess sadness and despair have come to an end. The holo polishes are once again making their mark on nail polish world after a seemingly long stint away due to what I'm sure were issues with finding ingredients. I remember when I first got into nail polish back in late December 2008 the China Glaze OMG collection was still available on e-tailers. I bought half of that collection back then, not knowing that would be one of the last times we'd see GOOD holos out there that were sold in large quantities and easy to find. The dark days are over with the release of the Color Club holos and the upcoming 2013 release of the China Glaze holos. What I did not expect was to find holos in Urban Outfitters a store that is 5 minute drive from where I live! What I expected less is that these holos would be the absolute best holos I've ever had as far as holo effect. 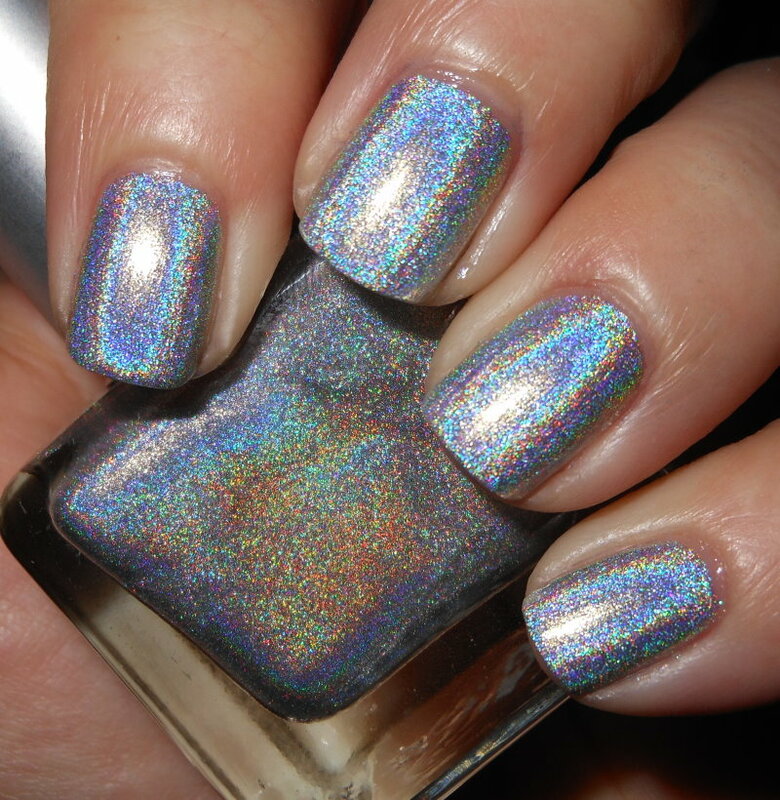 These puppies are strong linear amazing holos! I did not purchase any of the Color Club ones because I'd have to order them, and with shipping it wasn't appealing, so it was nice to spot these in a store I could just pick up! I have the silver one to show you today. 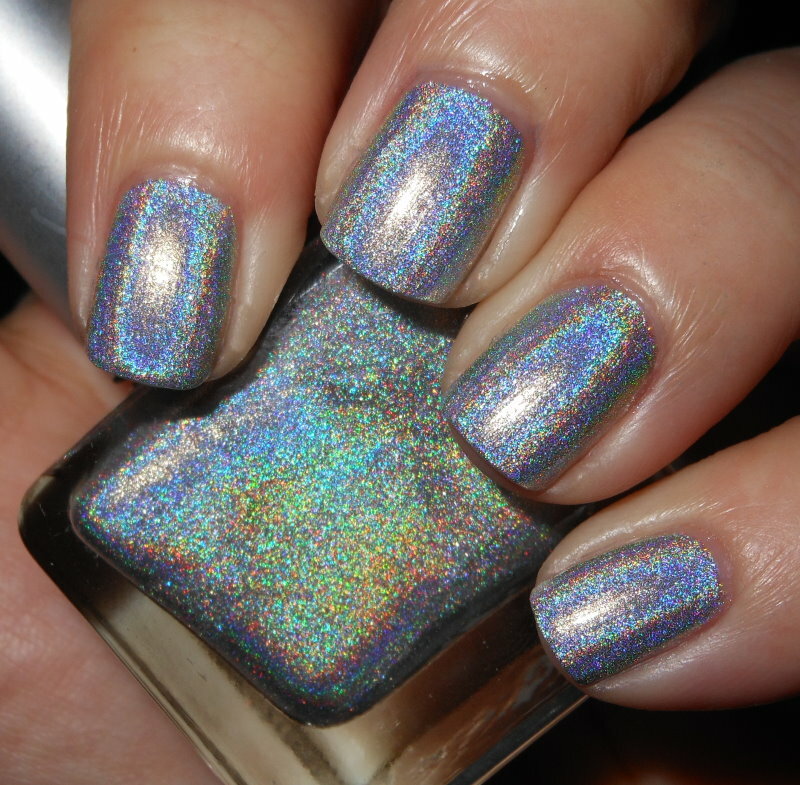 Silver Holo is a silver linear holo. This is bright, strong, and just downright amazing. Do I really need to say more? If you have an Urban Outfitters store near you, go pick this up now or ASAP. You will not be disappointed! I picked this one up for $10. WOHOOO, it's pretty - really gorgeous! i bought this one over the weekend, too, and am wearing it right now. we are nail twins. :) i am glad to see that good holos are coming back, too. i was able to find some of the old china glaze holos back in the day at some old supply shops to they are probably long gone now. i should have stocked up then but am happy that i won't have to hoard my current holos anymore. That is so gorgeous and really stunning! I saw these at my Urban Outfitters during Black Friday and I was really tempted to buy them. I swatched the testers on a few of my nails and I was in love with the strong holo effect. My favorite of the three is the green one. Wow! What a steal! And that it gorgeous! So pretty. My Urban Oufitters is 20 minutes away. Was going to go today but I got sick on Mexican food and stayed home. Ahh, but tomorrow is another day.